Michel Guignier is making wine in a remote valley near Vauxrenard, in a farm bordering protected woods and wild life. You drive through a mountain pass near here, it's like you're still in the Beaujolais but almost edging on the first mountains of the Massif Central. The surrounding of the wine farm is so beautiful and peaceful, you'd almost feel like in an Alpine hideout complete with its woods, cows and prairies, and by the way Michel is a real farmer, raising meat cows and other animals along with tending his parcels and making wine. When I reached the isolated farm at the end of a dead-end road at a good distance from Vauxrenard on my motorbike, I walked around, saw first his mother then his wife, and they helped me find him, he was either, they said, in the parcel right next to here or in the chai, you really felt like in a real old-time farm with the view over the Beaujolais and the bunch of ruminating white cows enjoying the sun. Michel Guignier has a long lineage of winegrowers-farmers behind him in his family tree, when he was a child he'd walk to the elementary school in Vauxrenard, no less than 3 kilometers one way using a shortcut through prairies and parcels. He is a man with a passion for authenticity and non-interventionist winemaking. His vineyard is organic since 2000 (at the time there was only a handful of organic growers in the Beaujolais) and it is now farmed along biodynamics. I felt in him a deep commitment to Rudolf Steiner's understanding of the need for a farm to be a living organism by its own. Michel Guignier has 4 generations of vignerons behind him, he didn't do some ancestry reserach to dig further but he may have more ancestors in the farm trade. His father has always vinified wine but he sold it in bulk to the négoce. His father worked on a small vineyard surface, probably starting around 3 hectares and planting a little bit more later. It was polycultural farming like elsewhere. His father had also cows in his time but milk cows, with dairy trucks coming daily on these narrow roads to fill their tanks. Michel and his brother both decided to continue working with vineyards and wine, so their father replanted a bit more surface and they followed suit. Michel Guignier's vineyard surface is now 4,5 hectares, much of it near the farm and a couple of parcels in Moulin-à-Vent 7 km away. When I visited the wines of 2015 were already on their way, this was the time when Michel just overlooked them, checking them regularly in their vat. The harvest was earlier than usual but on the other hand the fermentations are very slow this year, the yeast are in lower numbers compared to an average year. He says that here he has usually few problems in this regard but in 2015 it's different, it's slow. He says he foresaw the problem because in his mind the hydric stress, in other words the drought would have this kind of consequence, with grapes having less nutrients and thus yeast having less material to multiply on. But that's the vintage and you have to do with it, the grapes are a living thing and it reflects the vintage. He doesn't add anything to correct the shortage of nutrients but he heard that labs around push the winemakers to add nitrogen among other things. What I like in this wine farm is that it looks real and you feel the real comes before the appearance. I tend to like better houses and farms where weeds grow unchallenged in the courtyards; so many homeowners (who are nothing less than weekend farmers working on leasure surfaces) try to "keep control" on their dirt ground by spraying it all dead. Everything begins here : wanting a "neat", visually "clean" surface, be it your back yard, your courtyard or your field, and if the Greens were really into changing things durably, instead of engaging into their war on people through punitive taxes, they'd just suggest how vain it is to always think you can keep a surface spotless clean, sometimes with homeowners even putting an expensive pavement around their house to sweep it immaculate with a leaf blower. This bizarre passion for spotlessness is always at the price of life, especially the hidden soil life and bacterial life to which people are unknowingly connected. Everything starts there, just convince your children that things haven't necessarily to be "neat", "polished" and "immaculate" to be good, sometimes divinely good, appearance trumps reality here. In short, I like the real-farm feel of this place, and its weeds. Michel Guignier took over from his father in 1981, he and his brother had already replanted more surface with their father all the while attending the viticulture school, reaching a total surface of 8 hectares from the initial 3 hectares, and they divided the surface in two so that each of them could start their own production. Michel began to replace his father at the vinification in 1976, at that time the négoce was foremost interested in primeur wines, which it'd pay relatively well but then the vins de garde (the wines for laying down) that are ready a few months later were kind of snubbed by the négoce and they would pay less. In 1978 when he came back from his time in the military he recalls that for some reason his family domaine had very little primeur to sell that year, most of the wine needing an élevage, and in the following spring when the wines were ready they were offered much less than if they had been primeur, so he told his father they'd better keep half of the wine and begin bottle it themselves instead of selling it in bulk for so little. As a result when he took over from his father he had already a short experience of selling his father wine in bottles and finding customers. These first buyers were people he found doing door to door sales in the region, plus friends he made during his time in the army and who became loyal clients and a starting point, same for the pickers who came for the harvest. In the mid-1970s' when Michel Guignier attended the wine school this was the peak of the chemicals prestige, they were taught only that in the agriculture school, and everyone in the region, beginning with his father and themselves were dragged into the whirlpool of modern farming, seduced by the aleviation of the farming tasks, he regrets that nobody was warned about the consequences of all these products, but that's a different time and that was the way. Happily he remembers that on their new plantings they didn't use herbicide during the first 4 or 5 years, plowing the vineyard instead because they wanted to have a deep rooting of the vines. But he admits that after that they were spraying the parcels, even if using lower doses than the norm. Then before 2000 he began to think about it, this whole thing was feeling like too alien from the type of farming he felt comfortable with, something was not right and, between the soul searching and encounters he made with Christian Ducroux who was a pioneer in organic farming he understood there was other ways to work and be a farmer connected with his land. That's with Ducroux that he also learnt about biodynamy. Speaking of the way they vinified in his father's time, they used to add yeast on the 1st and 2nd fermenter but then for the following they'd just use the first vats like pieds de cuve, that was not wild yeast of course. Then later he stopped adding lab yeast but he was then sharing the chai with his brother and as the brother would pick and vinify earlier than him there would be a yeast ambiance in the chai (even if coming from lab yeast)by the time he'd start his own vinifications and the fermentations started easily. He says he really saw the difference when his brother left the chai, this was around 1998, his grapes and juice had suddenly to take care of themselves without outside help and this was sluggish at first. The following year (in 1999) he decided to make a pied de cuve which allowed him to have the fermentations start safely without using lab yeast. For that you need to pick in advance (before the formal start of the picking) a batch of grapes with a good level of acidity and have its juice ferment, which is going faster on a very small volume because the temperature of the juice rises easily. Speaking of the thermovinification, he did some long time ago, he was even among the first in his village to try this technique in 1996 [he estimates it started in the region around 1996], he did it a couple of years then slowed down its use before stopping altogether in 2000 because he understood that this had nothing to do with winemaking as he understood it, this whole thing was almost surreal. And also if the thermovinified wines were richer and had more color than "traditional" wine, their buvabilité (drinkability) was low, you didn't quench your thirst with these wine. He says it's sad that producers in the Beaujolais try all do make wines this way that are closer to the ones of the New World or the southern climates, with dark color, high alcohol, mellowness in the end of the mouth with this sweetness edge, it has lost the sapidity of the original Beaujolais character. He tones down his remark by adding that like all trends it may pass and people in the regionwill come back to wines that are more authentic. Michel Guignier says with a grin by the way that all the years he used thermovinification he had no problem sell the wine to the négoce but when he stopped that was over, they didn't like it anymore. From 2000 he had suddenly to work harder to sell his wine, then he could now and then sell again to the négoce when they were in shortage of wine, but he foremost developped other clients because also when he turned organic he even lost gradually many of his individual buyers who didn't recognize the wines they used to buy when he was working along the industry rules. Michel Guignier kept advancing on the authenticity path by stopping all SO2 addings in 2007. After 2000 his SO2 addings were at bottling only though while before 2000 he also added some after the fermentation and during the élevage. His first zero-SO2 trials were in 2004, in 2005 one third of his production was without added SO2 and in 2006 two thirds. Asked if he got some accidents he says not particularly, just that for certain vintages like 2005 and 2006 he had to resort to longer élevages. He also switched from filtration to no-filtration, for which he needed a slightly-longer élevage to clear the wines naturally, but anyway he says that a bit of sediment in the bottle is no big deal, plus this plays a positive interaction with the wine. The chai is large, it's an adjunction he had built in 1983, after he started his domain, the cement vats were already in the former building but he had them moved into his new facility wing, he also had 3 stainless-steel vats of which he got rid, preferring to work his small volumes with these 30-hectoliter wooden fermenters (made by Seguin-Moreau), even though it's more difficult to fill them. He bought these fermenters second hand 3 or 4 years ago, he likes to vinify on the parcellaire mode, keeping the batches separate. For this reason is spite of his small surface he makes quite a good number of cuvées, the vintage 2014 for example will have 12 or 13 cuvées, he says it's very interesting to see the expression of the terroir parcel per parcel. He says the granite appears in veins around here and some veins are more compacted, stony while others are made with crushed, decomposed granite, and the wines are different even though the age of the vines, the elevation, the exposition and the vinification are the same. He says that since he's farming along biodynamics he's passionate about singling out terroirs. Then of course when yields are too low he opts for blending several terroirs. Michel Guignier uses a Willmes press, I don't see very often these German-made presses in France but they're said to do a very good job. It looks almost like new but this year was its 20th harvest, he's very happy with it. He had a Vaslin before, until somewhere in the 1990s', after which he had for some time a second-hand Willmes but with a smaller capacity than this one, and he was so conquered with this type of press that he decided to buy one new. The large size of the press is important when you press whole-clustered grapes, those who destem can make it with a smaller press. As I remark that I didn't see many of them, he says you find more of them in Alsace and in the Mâconnais. Then we walk back to the older part of the farm to have a look at the surface barrel cellar. There's such a nice smell when you pass the door, somthing hard to describe but that hints at fermentation and farm life. The temperature swings more up and down compared to an underground cellar but this doesn't seem to hamper the wines, it goes down to 12 ° C (53 °F) maybe in winter he says but goes up to 20 ° C (68 °F) in summer. He says the fermentation, if not finished when comes winter, just slows down and spikes back up when spring comes. This year it's not even winter and the fermentations are sluggish already; in the other vintages they'd have now and then one or two batches that would be slow and they could awake them with the bustling batches but here there's nothing they can do but look and check regularly. The foudres here are former beer barrels, they're very thick, and Michel says that in the past, vignerons in the Beaujolais would often buy old beer barrels [because that was cheaper I guess, Beaujolais being a poor region back then] that they would bring from further north (Alsace or the north of France where beermaking was important. He bought these (you see only one here) to a vigneron who had them already for a long time, so it's not easy to say precisely how old they are. He has several capacities, 30 hectoliters, 35, 36 and the one on the picture which makes 20 hectoliters. This one is still full with wine from 2014. Most of his wine gets an élevage in wood, and even for the primeurs he likes to have the wine stay a bit in wood, if only for a month. Asked where his primeur wine can be found he says yes but he doesn't always release his primeur at the standard date and they may arrive later, it's a complicated type of market and he doesn't want to rush the wine because there's a deadline for the wine shops. Michel offers me to taste from the foudre near the door to the barrel room, this is old vines 2014, from a parcel more than 50. The wine is cool although the outside temperature (and even the inside) was fair when I visited, but he says he leaves the door open at night and last night the temperature went down to 6 ° C (42,8 °F). Nice color, lightly veiled. Nose : a bit of reduction but the general feel is very appealing. A couple minutes the nose is changed for the better. Swallowed, it's a vivid wine, I thought there was a high acidity too but he says it's more on the range of vividness. Right now he thinks he will bottle it before the end of the year. He says it tasted much better in summer but the turn from summer to autumn is often a time when the wine is more austere. He says that anyway living wines never taste the same when you drink them at different time. After a couple of minutes the 2nd sip is rewarding, that goes down well. Before I left, Michel opened a bottle of one of his cuvées : Oh 2014, table wine. This is a spring cuvée. 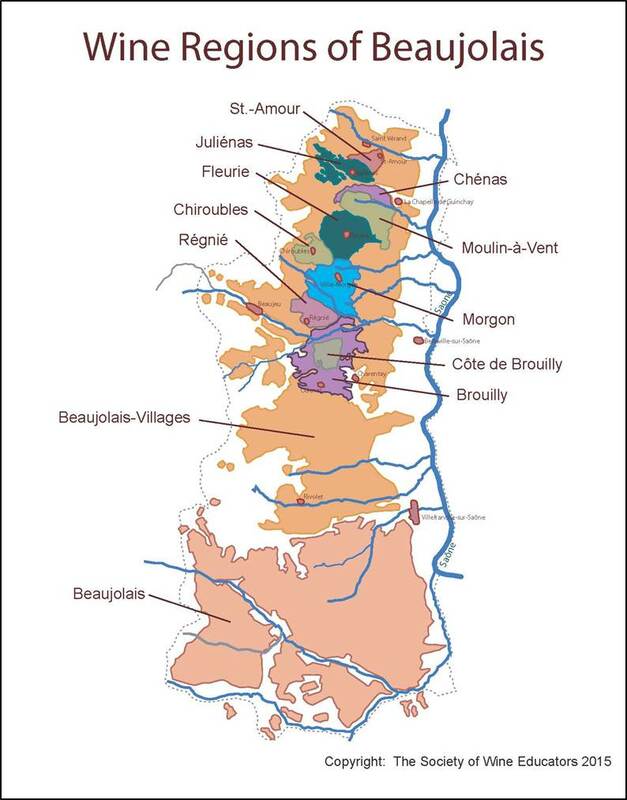 Speaking of the AOC appellations he still asks for the agreement for a cuvée of Beaujolais-Villages, his Fleuries which he had until last year, his Moulin-à-Vent but otherwise much of his wine is labelled as Vin de France (table wine), and when he gets a refusal for one of the AOCs at the agreement comission he doesn't ask again and labels right away as table wine. He says the trouble now, at these commissions d'agrément where the wine are tasted for the AOC, it's that apart from the irremediable defect your wine can be hammered with minor faults and major faults, you can get the AOC even with a major fault but they send you afterwards punitive cellar checks (or vineyards, or other wines stocked in the facility, depends of their mood...), and you have to pay for these compulsory checks, so it doesn't make any sense. He noticed these little miseies from the AOC commissions started since he made vins vivants (living wines, wines made without any added SO2), this was in 2005. Last year for his primeurs they found a fault for example and so he decided that if he makes some in 2015 he'll not ask the appellation, it will be all in table wine, he balks at the idea of paying these people to come down in the winery and check him, when the only thing that counts is that his clients love his wine the way it is. The nose is gorgeously appealing, this type of nose doesn't deceive. In the mouth, delicious wine, a pleasurable chew, really the thirst wine we all dream for a primeur or a spring wine, but I guess not so many people know how to do this. The wine makes only 10,5 % in alcohol, makes it the total opposite of these conventional dark-red, mellow and high-alcohol Beaujolais that fill the wine shelves of the supermarkets [now I understand the conventional vignerons who usually man these commissions d'agrément must be furious when they taste that...]. The wine was bottled in march, and see, we taste it in october and it's gorgeous, I'm sure these real thirst wines that are not supposed to age well can behave well beyond their normal time window. The professional price is 6 € and the retail price for the general public is 11 € tax included. Don't miss that if you see one. He makes this cuvée when the conditions are met, the total volume being 4000 bottles. He needs to be sure that this spring cuvée is easy to drink when you open the bottle, so he decides case per case, for example he made this cuvée in 2011, 2013 and 2014 but not in 2012. Usually it's a blend of several parcels, icluding in some instances some remaing wine from the previous primeur, he makes his picks during the élevage of all his batches, deciding which could be part of the primeur blend. Speaking of the 10,5 % he says that in 2014, with also the altitude and the vintage conditions most of his wines were between 10,5 % and 11,5 %, of course he could have waited more for the concentration but at the risk to loose this freshness. What he looks for is make the type of Beaujolais wines that the older generation in Lyons remembers having had in the 1950s', they were low alcohol, easy-drinking wines of this sort, but they'd drink Beaujolais all day. This year (2015) of course with the long, hot summer the alcohol will be higher, from 12,5 % to 13 % possibly. Empty glass, the ultimate test : so beautiful, you breath that like a divine fragrance. We walked a few meters to see the parcels near the farm, the ones they call "les plantées de la maison" which are 30 years old, this is Beaujolais-Villages, exposed east and south-east at an elevation of 480 to 490 meters, which is quite high. This narrow valley is planted with vineyards on one side facing the large protected woods of the forët départementale. This was a coniferous forest before 1999 but after the heavy storm of december 1999 with so many trees destroyed here like in other French regions, it was replanted with hardwood trees after all the fallen trees were cleared. Michel Guignier says that the trouble is there are a lot of wild animals that come out of the woods to feed on the crops and turn the prairie upside down looking for roots or acorns. Wild boars in particular are totally out of control since the last 3 or 4 years and the administration in charge of these woods doesn't seem to care, they don't want to suspend temporarily the reserve status of these woods, which would allow to dwindle the amount of game. To make things more complicated, this forest lies on 3 villages, Fleurie, Chiroubles and Vauxrenard. Plus, some of his prairies are on slopes along the woods and they need maintenance related to the wild boar damages; meat cows are easier to manage than milk cows but still, there's lots of work... Speaking of the wild boars they foraged in his parcels from august 22 and the would come evey night to eat grapes, it's a real problem for him, and fencing all around with electric wires would be quite expensive. The grass between the rows is mowed now and then and he plows several times a year also, just that this year he didn't plow much because pf the drought, all the weeds were grilled by the sun anyway. I spot a box hanging high above the vines in the middle of the parcel (picture on left), Michel explains that this is a trial he started 4 years ago as an alternative way to fight esca, this box airs what is called Protéodie, in short a special music being waved regularly (twice a day) in the vineyard to stimulate the vines and help them fight esca. He put the box in a parcel with high casulaties from esca but it doesn't seem to be very effective. This parcel had been planted with clones back then and esca makes a killing there, while in their old massal-selection parcels they get less damage from the disease, as if the vines could accomodate with it, somehow, and survive. On the picture on left you can see Michel's youngest vines, they're the same age of his youngest children, 22 or 23 years. Here two he has lots of esca (or black measles) and he tried the music box for 2 or 3 years, samely without result. Asked if he replants the missing vines he says that for now he tries overgrafting when the rootstock is still healthy, cutting it and inserting two grafts, he'd like to do it this way because he could save the roots right away. He noticed that after this parcel was planted there was maybe 10 years when everything was fine then it detoriated quickly. He learnt the overgrafting with François Dal, a specialist based in Sancerre and he would also like to do curettage like Dal teaches it to growers to save a vine from esca, it's sawing the inside of the vine and take away the sick parts (see this video). here on the picture above it's interesting to see the color of a conventional parcel (his brother's actually) among his organic own : the soil is bare because of the herbicide but I also noticed that the leaves are still very green, unlike Michel's parcels where the vines' foliage have already entered their rest season; of course that's obviously because the conventional parcel got its steroid shots of fertilizers which prevent the vines to begining its rest season with shades of yellow and red on the leaves, it's like when you need to sleep but drank Red Bull. Here is a video I shot while Michel Guignier was busy plowing his Moulin-à-Vent, we were with Aaron and Julie Balagny touring her new parcels of Moulin-à-Vent when they spotted him atop his tractor further down along the same slope. I'm so happy to have shot this video not only because it is the occasion to see live and unanounced how Michel Guignier plows and works his soils, but this machine is a wonder by itself, it's a maybe-60-year-old Jacquet, a now-defunct company that made vineyard machines well adapted for the small-surface farmers. This light straddle tractor is from the very same type and make as the one of Yvon Métras which I saw during my Metras visit in 2014 but didn't have the chance to see working for real. One of the wonders here beyond its low-tech, its reliability and its lightness is that it's powered by a Citroën 2CV engine, a loww-cc engine with an unmistakable sound unique to the 2Cv (and the Dyane or the Ami 8, other similar vintage Citroën models). Considering the widespread belief that tractors need to be very powerful it's particularly surprising to see how this 600 cc (if I'm right) engine can do a great job even on a slope. And of course like the venerable Citroën 2CV you can fix that type of engine by yourself if needed. Here is a page I linked to in my 2014 story, showing a similar Jacquet tractor. Again, how come we can't build that type of tractor again, no computer, no electronics, this could be assembled in India and I'm sure there'd be a market in many countries. A few more words about his other horse made of flesh and bone [2CV mean 2 horses], Michel Guignier told me that when he turned his vineyard organic he decided to work with a horse and he bought this one in 2000, training it himself for the draft plows. This mare was 2 years old, young enough but this was still a long process but he was very motivated and nothing would have stopped him. He wanted to use a horse because it's soft power, it's much better in particular on the older parcels, youdo much less damage with a horse and yourself at the back holding the walk plow. And he adds that working with a horse makes you learn many things, you smell the earth when you plow, you don't have that on a tractor. And also he really thinks that a paysan, a farmer without animals doesn't sound right. He says by the way that if he followed the biodynamie practices, it's of course because of Christian Ducroux but also because when he read Steiner's writings (or lectures) with the sentence "an agricultural farm can't exist without animals", that stroke a chord in him, he felt this was so right because he had felt it with his own animals. He says big farms or domaines that follow biodynamy on the book but don't tend animals, are off track. The wine farm being at an elevation of 500 meters the parcels themselves are at about 480 to 490 meters, which is quite high and means it's cooler with later harvest time, the acidity is also generally higher. This year the first grower to havest in the Beaujolais dit it around august 21st and here it was a couple weeks later, and he was forced to pick earlier than he'd have liked because the wild boars were really taking a heavy toll on his fruit, he thought if he waited more he'd loose everything. Here this particular parcel which is exposed east has a very steep part, Michel says that they plow with a motor-powered winch, anchoring the motor unit at the upper end and pulling the plow up. I asked if it's not too dry in summer with this slope but he says that ddly that's a parcel that behaved well in this drought condition. He thinks that it's because here the soil is sandstone, crushed sandstone while on the plateau his other parcels are on hard granite with a thiner layer of earth and they struggle when it's dry, plus on the slope the roots managed to dig deeper. For the harvest this year he says it was pretty quick, they started a saturday and sunday with a dozen of pickers and then the following days the team was 20 people strong so that they could move fast. Michel says he plans to diversify his production even more in the traditional-farming way, and in addition to the cows, hens and rabbits he plans to do cereals, especially that he's making his own bread. Of course they have a large vegetable garden too plus a few fruit trees. He says he considers himself farmer more than vigneron and he likes to rely on his own production as much as possible. This fits perfectly Rudol Steiner's farming philosophy, and Michel also practice biodynamics on the vineyard, he is certified, for now, because he adds that the costs of certification are quite high and he's wondering what to do about it, I understand that he's genuinely into this type of farming and can do without a certification, especially with his clients knowing and trusting him well. Michel Guignier is exported in different countries but I have to call him to have the list. I am importing and distributing Michel's wines in Washington and Oregon since August 2014. I will see him tomorrow! It seems that there are two Michel Guigniers in Beaujolais, which is very confusing. This one you write about here makes wines I love to drink and there seems to be another Michel Guignier in Morgon who's wines are organic but less exciting. Any thoughts?